The main purpose of ISO certification is to offer potential clients an independent assessment of a company’s conformity. In the recent years, there has been increased use of technology in business and potential clients are concerned with the issue of data security. ISO certification is, therefore, a way of quelling the fears of potential investors. Security professionals are aware that compliance does not go hand in hand with security. 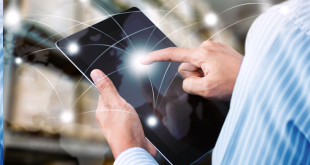 Compliance, therefore, gives future customers a technique to use the business controls as a way of ensuring the clients’ needs are met. Why is ISO certification necessary? In 1946, delegates from twenty-five different countries met at the Institute of Civil engineers in London. These delegates created an organization referred to as the International Standards Organization tasked with forming and unifying industrial standards. ISO standards influence the workings of different industries. For many IT companies, meeting ISO standards is a way of meeting the regulations set out by this organization. In the IT industry, there exist three types of standards that assist an organization in compliance including ISO 27001, ISO 31000 and ISO 9001. This standard sets out requirements for an information management system. For organizations looking to meet ISO certification, creating information management systems is necessary. This standard is concerned with ensuring the security, reliability, and availability of information as part of risk management. As a result, it is concerned with assuring consumers. For certification of this standard, there are two stages. The first stage involves a collection of documents by auditors to ensure that a firm’s ISMS is ready for review. 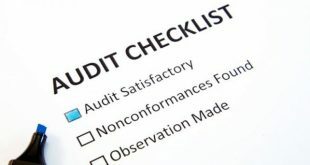 The documentation collected by auditors include a company’s ISMS scope, data security procedure, risk identification, and response process, risk review report, company assets, company policies and compliance requirements. This standard outlines the requirements for enterprise risk management (ERM). The risk control process requires that senior management and the board assess the impact and likelihood of risks occurrence in order to determine proper controls to manage risks. When assessing a company’s ERM for certification, auditors look at documents that detail management’s approach to risk identification and mitigation. This standard spell out the requirements for a quality management system (QMS). QMS details the techniques and responsibilities over quality control. The ISO 9001 mainly applies to industries that need quality controls. However, it can also offer a new direction for compliance. Audits in this standard review product, process, and system. The documentation collected by auditors covers both mandatory and non-necessary information. Mandatory documents include document control techniques, internal audit methodology, corrective and preventative action policies and control of non-conformance procedures. Certification of this standard can be overwhelming for many companies. There is a difference between ISO conformation and ISO certification. ISO conformity means that an organization complies with ISO standards. Any company, for instance, carrying out audits internally can implement ISO conformity as part of business operations. ISO certification offers customers assurance about quality control and data management. A certified company is one that conforms to ISO standards. Certification also assures outsiders that a company meets requirements established by a group of experts. Due to the many standards ISO establishes, there is a need for companies to be direct in stating which ISO standard they meet. In addition, ISO certification enables companies to use the opinion of an autonomous third party as evidence of compliance. ISO establishes standards but does not issue certificates or take part in the certification process. The Committee on Conformity Assessment (CASCO) determines the standards used for certification, which are in turn used by certification organizations. CASCO, therefore, establishes standards that third parties must use to determine whether a company meets ISO standards. ISO accreditation is different from ISO certification. ISO certification happens after organization policies, techniques and documents are reviewed by an independent third party. When choosing a certification body, an organization should ensure that the third party employs CASCO standards and ensure that they are accredited. However, companies should not assume that non-accredited third parties are incapable of reviewing their company. Accreditation refers to autonomous capability confirmation. In simple words, accredited bodies are those that have been reviewed independently to ensure they meet CASCO standards. This ensures that accredited bodies can properly review other organizations to determine whether they meet ISO standards. The process of managing a company to ensure compliance can confuse managers. ZenGRC’s SaaS compliance software allows a company to determine its controls and conduct a gap analysis so it can manage its workload better. Is ISO an international standard?